If you are destined to be a leader and you would like to pursue a job as an accounting professional, you may be interested in learning about the type of management jobs in accounting that you may be qualified for with education and experience. As you begin to compare different accounting programs, you will need to learn about the level of education that you will need to possess before you can hold a supervisor or manager title. By learning about the educational paths and the career pathways that you can travel down, you will be able to make an effective plan. In public accounting, you may work for a small accounting firm that offers local services to businesses and individuals or for an international firm that takes on larger clients and employs thousands of accountants, according to Accounting Coach. While it is most common for a public accounting firm to hire CPA’s, it is possible to land a position as a bachelor’s degree holder and then work your way up after you have proven yourself. After being a new accountant for several years you may be eligible for a senior or management role. There are several different titles that qualify as upper-level professions where the accountant will hold more responsibility or oversea staff accountants. Some of these titles include: Tax Manager, Forensic Accountant, Consulting Manager, Audit Manager or even partner. If you would prefer to work for a private organization, you will want to look for positions available in managerial accounting. The entire purpose of managerial accounting is for professionals to examine records, spot ways to cut costs and look for fraud. Financial accountants who work for corporations may also help prepare financial reports for stockholders and tax filings to take advantage as the most write-offs. Some of the management titles that you can hold with corporations include: Internal Auditor Manager, Asset Manager, Treasury Manager, Cost Analyst, Tax Managers, Reporting Manager and Controller. If your goal is to later become a Chief Financial Officer, you will need to spend several years in a management role before you will be considered. If you really want to get noticed for a promotion or for an opportunity with a new firm, you will need to have things on your resume that stand out. One of these things is your level of education. You will need a minimum of a bachelor’s degree majoring in accounting or finance before you can even land a mid-career title. As you are getting professional experience, you should consider enrolling in a master’s or MBA program that will teach you about business and about being a leader. Taking advanced courses will qualify you to become a CPA if you work in a public setting, according to CPA Review. This will certainly help you eventually become a manager. If you would like to work in financial accounting, public accounting, managerial accounting or even government accounting, you need to complete formal training. 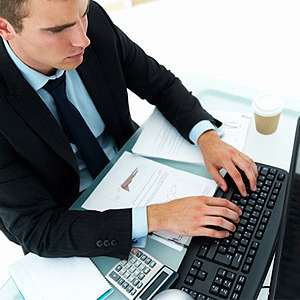 In a degree program you will learn accounting principles, financial reporting techniques and more complicated methods. After you graduate, you can begin to search for a position and then consider the type of management jobs in accounting that are high in demand as you strive for upward mobility.